"There's something wholly inexplicable about this song. Each verse is in a separate key and the lyric, inspired by the legend of the succubus, has a nightmarish theme. Yet despite this, the piece has a timeless quality. I love the beginning, the way the synth chords ping in like a child miming a bullet (the result of a poor drop-in), the bass pedal and heavily 'mutronned' guitar crashes that prefigure the arrival of the guitar riff and drums, when the whole thing shifts up a gear. One of the best Wire intros ever!" "This has always been my preferred version of this song, done for a single that never got released. The main synth line was based on the guitar line the song was written around, and during Wire's 'retrospective' period in 2000 we did an all-guitar version—a stage highlight! Like most 1980s Wire, which in my view is cast in an unfavourable light by '80s-style production, this song has yet to see its ultimate version. However, this version is as close to the ideal as it's got so far." "This kicked off the loop that led to Read & Burn 01 and ultimately Send. A machine-tooled re-fit of a live recording of one of Wire's early icons, there wasn’t anything else around like it when it came out in 2001. Initially pressed on a white label 7", which was hand-packed into a stout polyethylene bag, sealed with a Pinkflag sticker, the 'production' cost (a la Factory Records) turned out to be greater than the profit yielded, meaning that the run remained short and the record is now exceedingly rare!" Colin Newman is Wire's front-man, rhythm guitarist and main tunesmith. In recent years, he's also become Wire's premier back-room boy, responsible for mixing, post-production and authoring all Wire releases. He also runs the Pinkflag label, which releases new and archive Wire material, on behalf of the band. As well as his involvement with Wire, Colin has worked on many other projects. Along with releasing six solo albums, he's produced, arranged and remixed The Virgin Prunes, Minimal Compact, French megastar Alain Bashung, Hawkwind, Dead Man Ray and Silo. Since the early 1990s, Colin has co-run the groundbreaking Swim label with his wife, Malka Spigel. The pair's collaboration extends to artistic projects, too, the best known of which is Immersion; however, Malka and Colin work jointly on all Swim-released work under either of their names. Swim has also released work by many other artists (often realised in Swim's studio), including: Lobe, Ronnie & Clyde, g-man, Silo, Symptoms, Akatombo, and Toucaen. 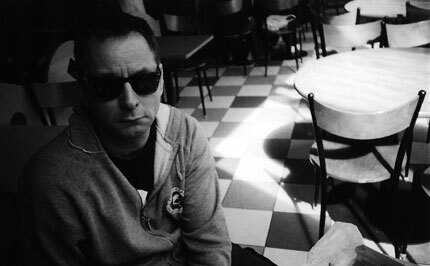 Since early 2004, Colin has been a member of Githead, a band featuring Malka, sound artist Robin Rimbaud (of Scanner fame) and Minimal compact drummer Max Franken. The band's second album, Art Pop was released in May 2007.